Father's Day is upon us and, naturally, it is a time when marketers shift their gaze toward dads. We can expect big sales on cars, ties, khakis, 55-inch flatscreen TVs, grills, brats and lawn mowers. But, while these may still be the wants and needs of the modern dad, that's not the whole story. The dad of today is not just the maestro of the yard, the garage and the man cave. He is also an active partner in the kitchen, the laundry room and the baby's room. Modern dads are redefining fatherhood by spending more time with their kids, doing a larger portion of the household shopping and spending lots of money. According to the American Time Use Survey, for every hour moms spend grocery shopping, dads spend 54 minutes. While marketers are waking up to the importance of engaging dads, they often treat them as one huge non-female cohort. We decided to embark on an in-depth study of dads as consumers—or dadsumers. We started with a series of interviews with dads from different generations. 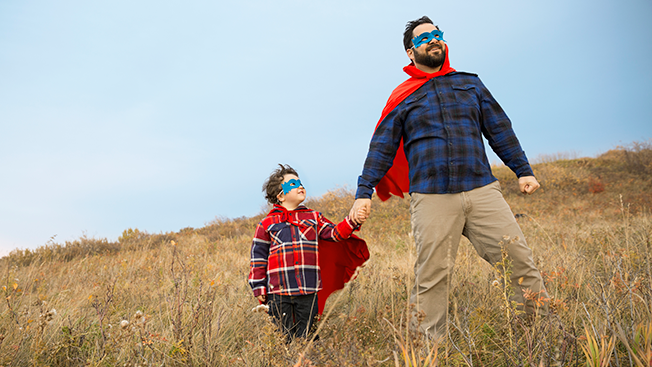 We were looking to uncover factors that might explain the differences in dads' values and attitudes as well as their visions of what a dad should (and should not) be. We determined that a father's outlook was shaped during two key life stages: early adolescence, as he became aware of his own father's role (or lack thereof) in his life, and his early 20s, when he's coming of age and beginning to understand the very real impacts of the social and economic forces of the time. The dadsumers of today were shaped by myriad social, cultural and economic factors—wars, recessions, bubbles, bailouts, 10 different presidents, and bands from The Beatles to U2 to Radiohead and Coldplay. We then undertook a quantitative deep dive, working with several different secondary research sources to understand the differences in their shopping behaviors, media and device use, and their attitudes toward fatherhood, advertising and brands. We then identified critical factors for winning their hearts and wallets. 1. The brand new millennial dad (ages 30-34) was born in the early to mid '80s and has a whole new perspective on life. He married in his late 20s to early 30s, and his kids are now toddlers or in preschool. Whereas older men have seen their dreams and ambitions to do better than their parents go unrealized, this generation knows better than to even question it. Don't treat them as some kind of hero because they are taking on an equal role as partner in parenting and home life. For them, there's no question or decision—this is what comes naturally. 2. The Gen "Why?" dad (ages 35-39) was born in the late '70s or early '80s and came of age in the late '90s or early 2000s. He is a millennial in spirit, but that idealism is being reigned in more and more each day. He is now staring at 40 with a traditional job, a mortgage, life insurance and a minivan. Take advantage of the fact that the Gen "Why?" dads are the most active segment on social media. Give them reasons and opportunities to engage by sharing your content and their love for your brand.